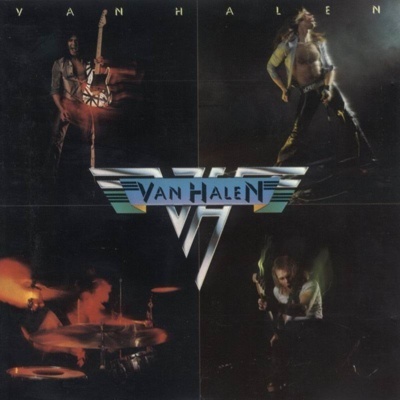 Van Halen’s masterful debut record, released in February, 1978. 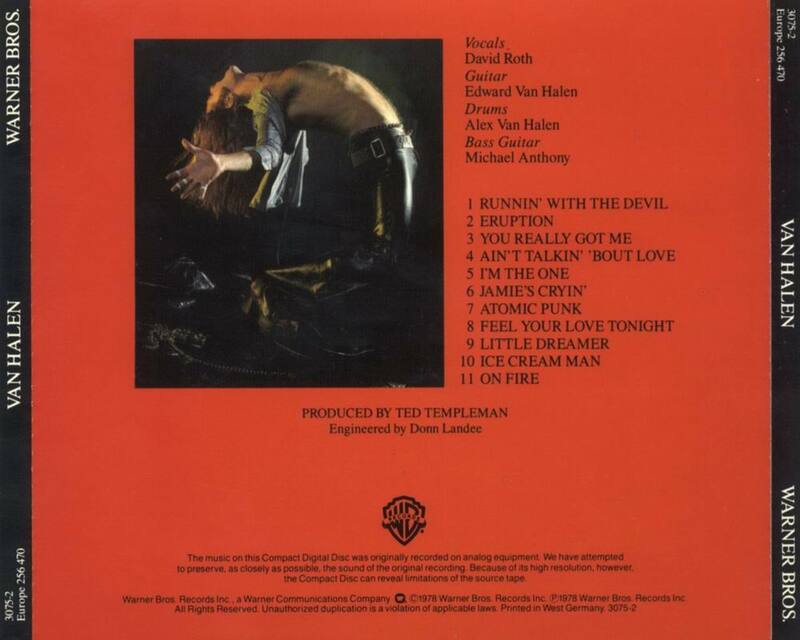 Produced by Ted Templeman at Sunset Sound Studios in Hollywood. In only 18 days, Van Halen recorded 25 songs from their live set and one new track, “Jamie’s Cryin’,” which was written during the sessions. It cost $40,000 to make. The group recorded all the songs live in the studio, and only overdubbed instrumental tracks on three numbers. Production had to be rushed, because Ed mistakenly let the band Angel hear “You Really Got Me.” Both bands rushed to put the song out. Eddie Van Halen, 22 at the time of the recording, won his first of five consecutve “Best Rock Guitarist of the Year” awards from the readers of Guitar Player magazine. Van Halen, although it took three months to chart, reached #19 in the States and #34 in the U.K. (a great showing for an American hard rock band). This landmark record changed the face of guitar rock, and redefined the hard rock genre. The album still remains the highest selling of any Van Halen record, a tribute to its timeless significance.